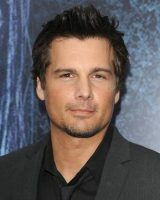 “Underworld” director Len Wiseman is in talks to helm Universal’s reboot of “The Mummy.” The legendary Boris Karloff played the original Imhotep and in the 1999 remake, directed by Stephen Sommers, it was Arnold Vosloo who re-enacted the Egyptian priest revived during an archaeological expedition. “The Mummy” franchise has been a lucrative one for the monster movie studio. “The Mummy” and “The Mummy Returns,” both directed by Sommers, and “The Mummy: Tomb of the Dragon Emperor,” by Rob Cohen, have raked in approximately $1.25 billion. So, it’s no surprise Universal would like to rejuvenate the thrilling series once again. Alex Kurtzman and Roberto Orci, the duo backing the “Van Helsing” reboot, will also produce “The Mummy” along with Sean Daniels and Jim Jacks, producers of the previous “Mummy” films with Brendan Fraser. “Prometheus” screenwriter Jon Spaiht, who is penning the script, will set the film in present day. Universal is vying for a 2014 summer release date, so expect casting news by the end of the year if not sooner. However, I think it’s safe to assume that Wiseman’s wife Kate Beckinsale, who starred in his previous films, will be in contention for the female lead. I think this reboot has potential. Although “Total Recall” failed to wow at the box office, the “Underworld” series continues to be successful. Wiseman certainly knows his creatures. What do you think about a “Mummy” reboot? Are you for or against? Hit the box on the right with your opinions. I don’t think it’s needed, but he’s as good a choice as any I guess.